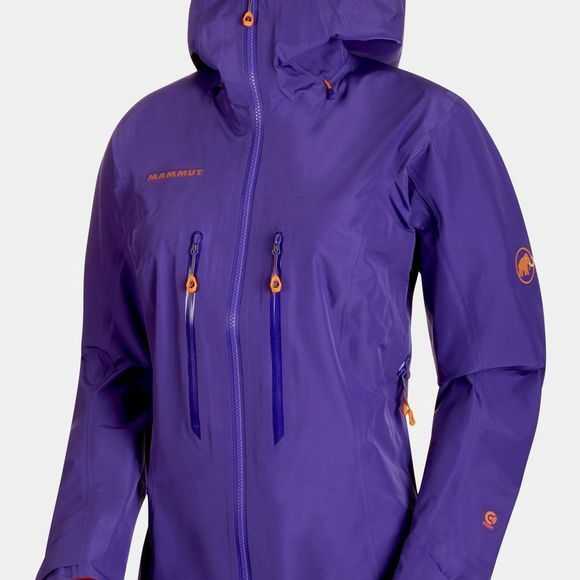 The Nordwand Advanced HS Hooded Jacket Women has everything you could possibly wish for on your strenuous and yet icy adventures. The jacket is ideally tailored to your requirements with a combination of Georganic-3D Technology Pattern and High Reach Technology. The result is a cut that ideally accommodates alpine movement sequences, allowing you to move naturally in extreme terrain. Thanks to the lasting windproof and breathable properties of GORE-TEX Pro, the jacket will protect you from wet conditions and rain. Its design focuses on the main challenges faced by mountaineers: combining a light weight with durability. It brings all the essential features together in a very compressible design and impresses with a wide range of functional details.